FOX RENEWS THE SIMPSONS FOR UNPRECEDENTED 31ST AND 32ND SEASONS! 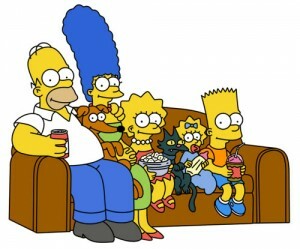 FOX has given The Simpsons a two-year renewal – taking the show to an unprecedented 32nd season. Details follow. The Simpsons Celebrates Its 30th Anniversary with Special Events on FXX and FOX! FXX and FOX have joined forces to celebrate the 30th anniversary of The Simpsons with two special events this month. One week later, FOX will air a special encore of The Simpsons first-ever full-length episode, Simpsons Roasting on an Open Fire. Details (and episode list for the marathon) follow. Blunt Object Clip: The Simpsons on Donald Trump’s First 100 Days In Office! The Simpsons reflect on President Trump’s first 100 Days – Photo courtesy of FOX. FOX’s The Simpsons tackles President Donald J. Trump’s first 100 days in office with remarkable compassion. The Simpsons 1 Hr Hip Hop Special Airing This Weekend! Over 20 years and The Simpsons still has the ability to make me laugh. I haven’t watched in years, but this looks funny. This special episode of THE SiMPSONS features Emmy Award nominee Taraji P. Henson (EMPIRE), Snoop Dogg, Common, RZAand Keegan-Michael Key as guest voices. It airs Sunday, Jan. 15 (8:00-9:00 PM ET/PT) on FOX. Let us know if you will be sharing. Son Of FXX’s ‘Every. Simpsons. Ever.’ Coming Soon! FXX’s epic ‘Every. Simpsons. Ever.’ marathon was so well received that the network is doing it again. Every. Simpsons. Ever. (Part 2!) will run 600 episodes of The Simpsons in 300 hours between midnight on Thanksgiving and December 6th – the longest running marathon in TV history, besting its own record of 552 episodes over 12 days. The Simpsons Go 60 Minutes In New Year! The Simpsons have a pre-New Year’s resolution: the show will broadcast its first one-hour episode in January 2017. Taraji P. Henson and Keegan-Michael Key will make special guest appearances in the episode, which will see Mr. Burns crossing paths with a music mogul as he tries to relive his glory days. The Simpsons premieres in its 28th season on Sunday, September 25th. Follow the jump for whole great bunches more. FXNOW For Apple TV Introduces Simpsons TV! FX Networks has released a new version of its FXNOW VOD app to take advantage of Apple TV’s capabilities – creating the first opportunity for fans to experience Simpsons TV on a streaming device. Simpsons TV, the latest feature of Simpsons World, is a unique collection of highly curated channels that offer a compelling “lean back” experience similar to linear television but within the on-demand environment of FXNOW. Fans can choose from channels such as “Going Old School” or “Krustylu Studios” that each feature a collection of episodes inspired by distinctive themes. After choosing their own viewing experience from the channel guide, viewers simply sit back and watch episodes. The Debateful Eight: The Simpsons Take On Eight Would Be Presidents! Marge Simpson has this ongoing nightmare that she can’t get away from even in sleep – the unusual, unruly campaigning for president that is making 2016 the year the nightmare didn’t stop when we wake up. Check out the new Simpsons short, The Debateful Eight, after the break. 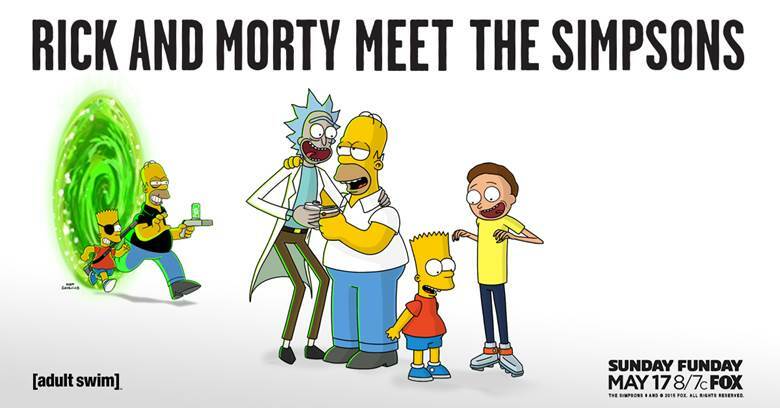 Rick and Morty Meet The Simpsons! At least it’s the most unusual couch gag of the month. Check it out after the jump. Rick and Morty’s second season will premiere on Adult Swim on Sunday, July 26th. The Simpsons season finale airs Sunday, May 17th (8/7C). D’OH! Going For Thirty? FOX Orders Two More Seasons of The Simpsons! Homer Simpson and his epically dysfunctional unique family will be with us for seasons 27 and 28. FOX made the announcement this afternoon. 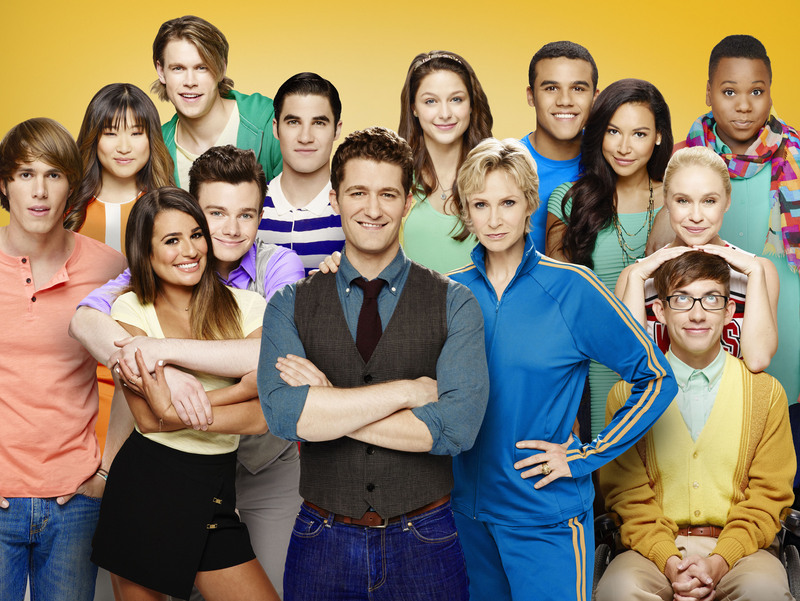 FOX Winter Premieres From Backstrom and Glee To Weird Loners and The Following Announced! FOX has set the dates for its winter premieres for new scripted shows Backstrom (January 22nd), The Last Man On Earth (March 1st) and Weird Loners (March 31st) – and unscripted World’s Funniest Fails (working title) (January 16th). Returning scripted shows include Glee’s final 13-episode season (two-hour premiere on January 9th), The following (two-hour premiere on March 2n) and Bones (March 26th). Unscripted returnees include Masterchef Junior (January 6th) and Hell’s Kitchen (March 3rd). For a complete schedule for new and returning FOX shows (day/date/time), follow the jump.